These useful tips will help you convet any media files includes AVI, MPG, MP4, MOV, MKV, M4V, FLV, SWF, VOB, MP3, AAC, AC3, FLAC and over 100 hot devices iPad, iPhone, Tablet, Andorid cell phone (Samung, HTC, Sony, Blackberry, Nokia). 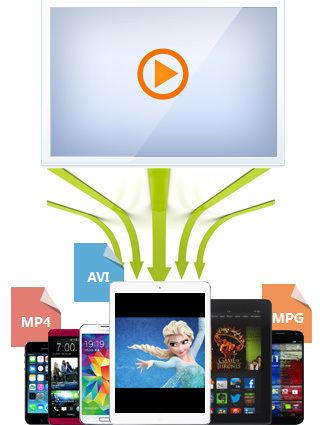 How to Free Convert ARF to MP4, AVI, MOV, MKV, MP3? How to Convert MKV to MOV with No Effort? How to Convert AVCHD to MP4 with Lossless Fidelity? HandBrake Audio Sync Issue - How to Fix HandBrake Audio Delay? How to Convert MKA to MP3 Step by Step? How to Convert MOD to MP4 or Other Formats? How to Mute a Video in the Simplest Way?